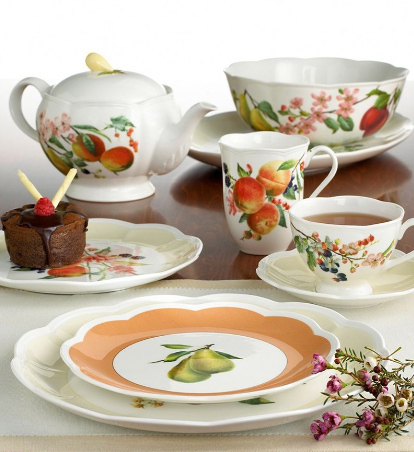 Country charm makes its way to the table with the Lenox Orchard in Bloom Dinnerware. 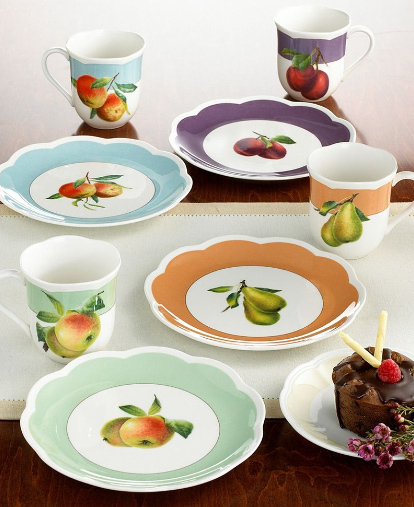 This fruity dinnerware collection features a cheerful pattern of brightly colored blossoms and fruit adorning china finished with wonderful scalloped edges and delicate details. 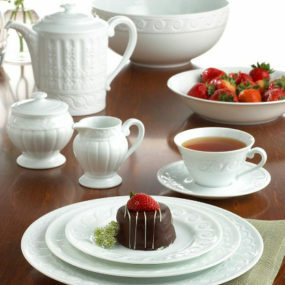 The Lenox dinnerware collection includes every piece you could want and need, from complete dinner sets to dessert, serving and specialty pieces of all kind, and the fruit patterns look so yummy. 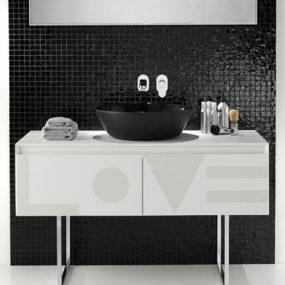 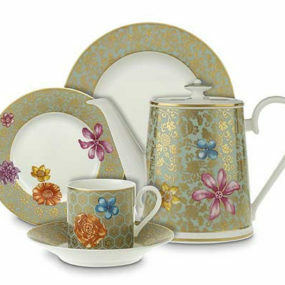 The true beauty of this classic collection is that it’s a timeless set, never to go out of style. 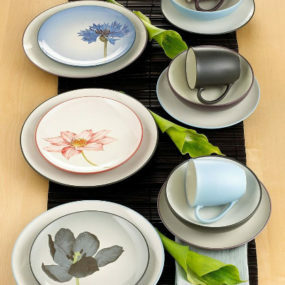 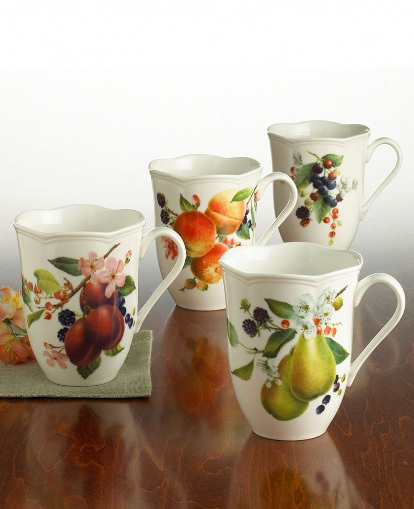 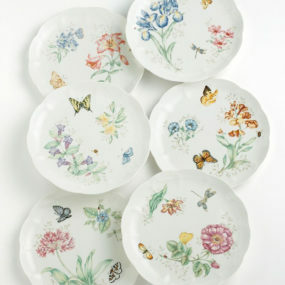 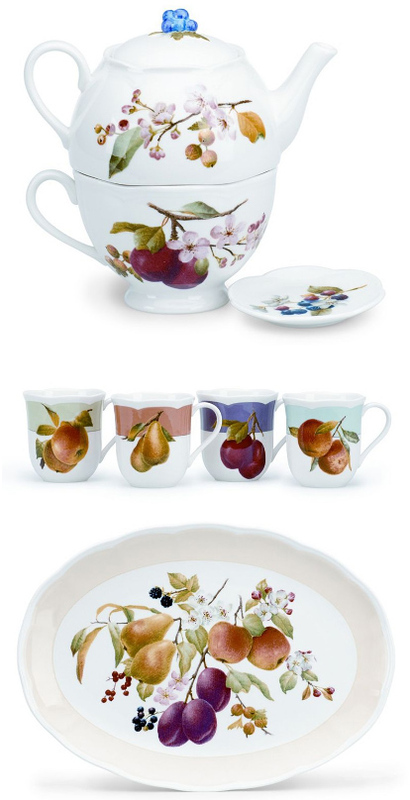 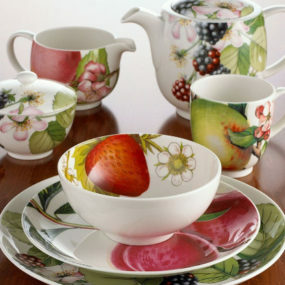 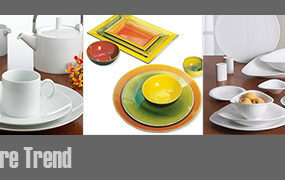 Like a breath of fresh orchard air, the Orchard in Bloom dinnerware will set your tabletop abloom. 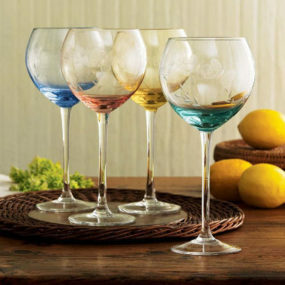 Pieces range in price from $9 to $100 at Macy’s.